7 5/8" overall. 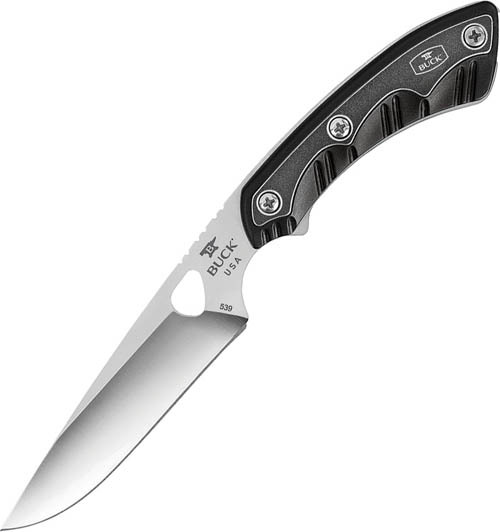 4 1/8" 420HC stainless drop point blade with thumb stud. Full tang. Black thermoplastic handles with black stonewash aluminum onlay trim. Black nylon belt sheath.